In the past few months, a block of 1,024 Internet addresses, reserved for many years for North Korea but never touched, has been registered to a company with links to the government in Pyongyang. The numeric IP addresses lie at the heart of communication on the Internet. Every computer connected to the network needs its own address so that data can be sent and received by the correct servers and computers. Without them, communication would fall apart. It is unclear how the country's secretive leadership plans to make use of the addresses. It seems likely they will be assigned for military or government use, but experts say it is impossible to know for sure. North Korea's move toward the Internet comes as it finds itself increasingly isolated on the world stage. The recent sinking of a South Korean warship has been blamed on the insular country. As a result, there are calls for tougher sanctions that would isolate North Korea further. "There is no place for the Internet in contemporary DPRK," said Leonid A. Petrov, a lecturer in Korean studies at The University of Sydney, referring to the Democratic People's Republic of Korea. "If the people of North Korea were to have open access to the World Wide Web, they would start learning the truth that has been concealed from them for the last six decades." "Unless Kim Jong-Il or his successors feel suicidal, the Internet, like any other free media, will never be allowed in North Korea," he said. The North Korean addresses were recently put under the control of Star Joint Venture, a Pyongyang-based company that is partly controlled by Thailand's Loxley Pacific. The Thai company has experience working with North Korea on high-tech projects, having built North Korea's first cellular telephone network, Sunnet, in 2002. Loxley acknowledged that it is working on a project with Pyongyang, but Sahayod Chiradejsakulwong, a manager at the company, wouldn't elaborate on plans for the addresses. "This is a part of our business that we do no want to provide information about at the moment," he said. A connection to the Internet would represent a significant upgrade of the North's place in cyberspace, but it's starting from a very low base. At present the country relies on servers in other countries to disseminate information. The Web site of the Korea Central News Agency, the North's official mouthpiece, runs on a server in Japan, while Uriminzokkiri, the closest thing the country has to an official Web site, runs from a server in China. 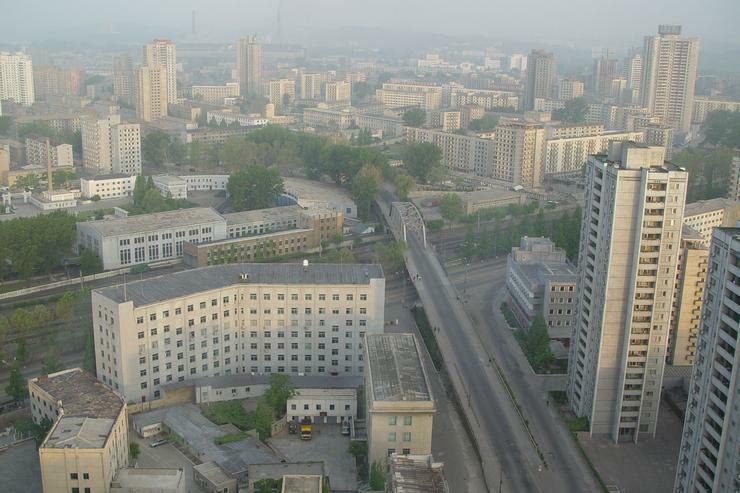 North Korean citizens have access to a nationwide intranet system called Kwangmyong, which was established around 2000 by the Pyongyang-based Korea Computer Center. It connects universities, libraries, cybercafes and other institutions with Web sites and e-mail, but offers no links to the outside world. Connections to the actual Internet are severely limited to the most elite members of society. Estimates suggest no more than a few thousand North Koreans have access to the Internet, via a cross-border hook-up to China Netcom. A second connection exists, via satellite to Germany, and is used by diplomats and companies. For normal citizens of North Korea, the idea of an Internet hook-up is unimaginable, Petrov said. Kim Jong-Il, the de-facto leader of the country, appears all too aware of the destructive power that freedom of information would have to his regime. While boasting of his own prowess online at an inter-Korean summit meeting in 2007, he reportedly rejected an Internet connection to the Kaesong Industrial Park, the jointly run complex that sits just north of the border, and said that "many problems would arise if the Internet at the Kaesong Park is connected to other parts of North Korea." Kim himself has made no secret of the Internet access that he enjoys, and famously asked then-U.S. Secretary of State Madeleine Albright for her e-mail address during a meeting in 2000. The government's total control over information extends even as far as requiring radios be fixed on domestic stations so foreign voices cannot be heard. The policy shows no signs of changing, so any expansion of the Internet into North Korea would likely be used by the government, military or major corporations.